Chief Justice Ivor Archie PHOTO BY ROGER JACOB. CHIEF Justice Ivor Archie left Trinidad on an American Airlines flight to Miami yesterday on his six-week vacation. Sources confirmed Archie left on the 3.29 pm flight – AA2703 – to Miami; where he is expected to take a connecting flight to Washington, DC. Newsday reported last week that Archie was booked to leave the country yesterday. 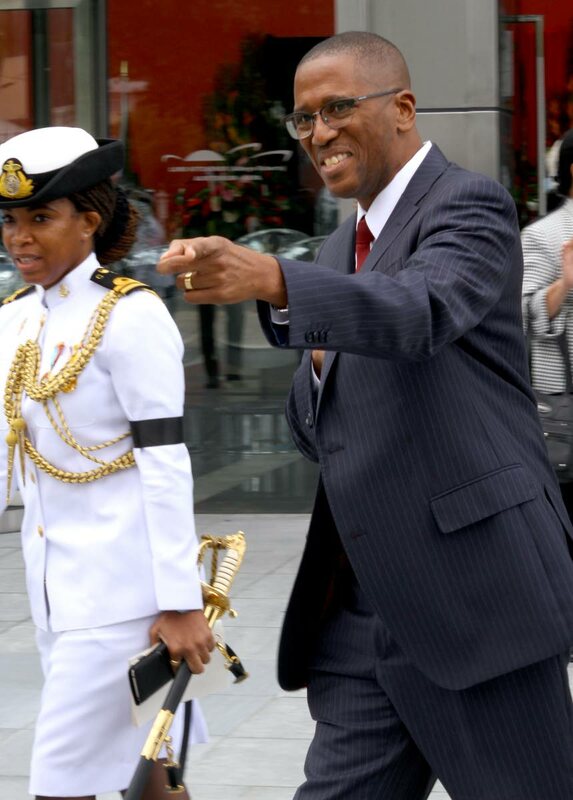 He was on hand to swear in this country’s sixth President Paula-Mae Weekes at her inauguration at the Queen’s Park Savannah, Port of Spain, on Monday. Tacked on to his six weeks was the “Easter break” vacation leave period. A statement from the Judiciary said Archie is out of the country on vacation leave from yesterday to May 9. In his absence, Justice of Appeal Allan Mendonca will perform the functions of Chief Justice. Newsday also reported last week that Archie was still going on vacation, but not the 35 weeks he first intended, only six. He had to reapply to the president for permission to leave the country. He did so last week. In his application, Archie would have had to specify the dates he intended to be out of the country so that acting arrangements could be made. Archie said last Wednesday that he had decided not to go on the controversial six-month sabbatical for which he had applied to former President Anthony Carmona. Instead, he said he would use his accrued vacation leave of 35 weeks. But his change of plan was questioned when sources within the Judiciary said there were no legislative provisions for judges to accrue so much leave. According to the Judges Salaries and Pensions Act, judges are entitled to the “long vacation” period from August 1 to October 2, as well as the Easter and Christmas, plus six weeks’ vacation for a Justice of Appeal and four weeks for a puisne judge. His entitlement to the six weeks has also been questioned, as sources in the Judiciary said the six weeks provided for was the court “long vacation” period, but a judge had to apply to use it outside this period. This means for the Chief Justice to have accessed the six weeks, he would have had to justify his need to use his “long vacation” allowance. One source said to have accessed the six weeks, Archie would have to work through the “long vacation” period. But sources close to him said he had already committed to the fellowship in the US and arrangements had been put in place for him to do so. Reply to "Archie flies out"